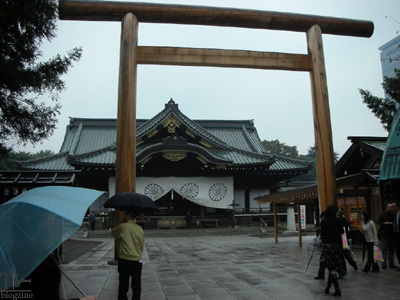 Though Yasukuni Jinja (Shrine) is technically a national site, it is a shrine for Shinto, a native religion of Japan. It is also quite possibly the most controversial place in Japan. During study abroad in Tokyo during my senior year of college, I had a professor who felt we should see the source of that controversy with our own eyes. 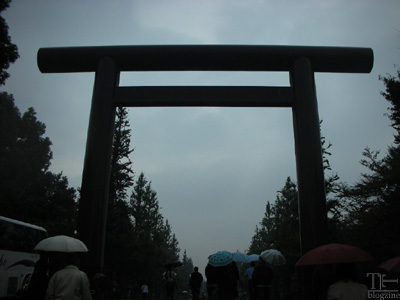 Above, a gigantic torii, the signature gate of Shinto shrines, marks the entrance to Yasukuni Jinja. 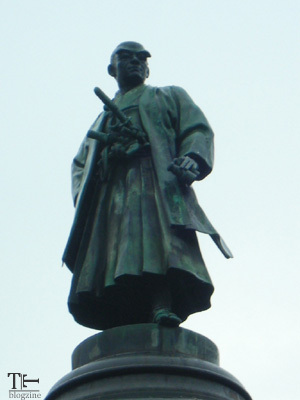 The grounds of Yasukuni Jinja are filled with imposing statues of historical figures. The shrine houses the kami, or spirits, of those who gave their lives serving the Emperor of Japan since its founding in 1869. This includes Class-A war criminals from World War II and men from nations colonized by Japan who were forced into service. 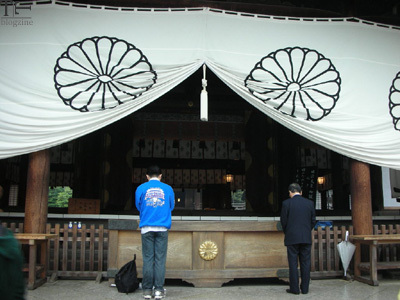 Men praying at Yasukuni Shrine. Visits by former Prime Ministers of Japan have been viewed as a slap in the face to people in former occupied areas like South Korea and Taiwan; it is seen as endorsing the war criminals enshrined there, or being disrespectful or unapologetic in regards to the suffering Japan caused leading up to and during World War II. 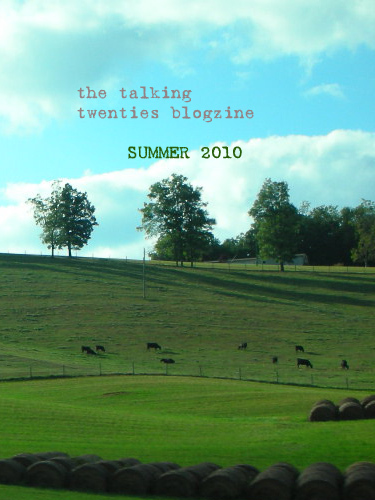 The issue continues to be a sore point in international relations. Not everybody who comes to Yasukuni has politics or war in mind. 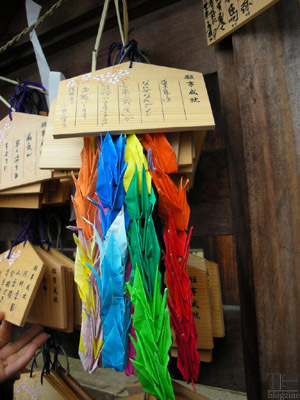 These colorful paper cranes have a positive meaning, such as a prayer for recovery from an illness or for peace. To some people, Yasukuni Jinja is likewise just a typical shrine. 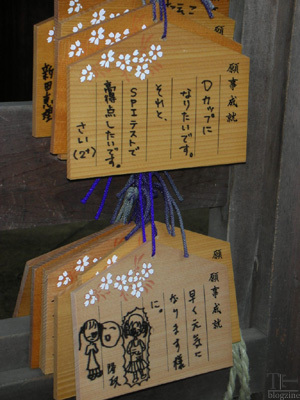 The writer of the top prayer plaque prays “I want to become a D-cup,” and asks that she’ll do well on a test. 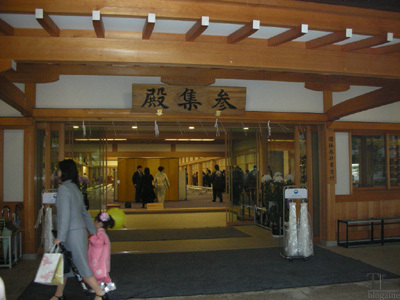 Yasukuni is larger and more lavish than the usual Shinto Shrine, but still serves typical functions in the community. Left, the little girl in the pink kimono is celebrating Shichi-go-san, a festival for children ages 7, 5 and 3 in which they are brought to a shrine to pray to the gods for their continued health and growth. 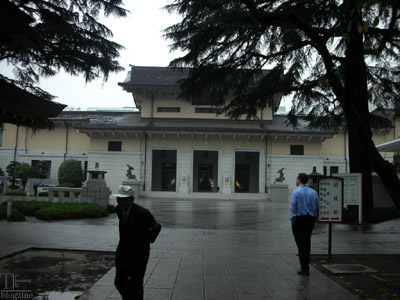 The duality of Yasukuni: a bilingual museum with a nationalistic perspective on modern Japanese history sits on the Yasukuni grounds. A plaque inside proclaims that the Japanese had no choice but to attack Pearl Harbor because of harsh embargoes placed on their country. There are also displays of the manned but engine-less suicide “sakura bombers,” and other military apparatus. But there are two sides to Yasukuni. Inside the museum is also a small display case with dolls dressed like brides, donated by families of young men killed in WWII. Because the young men never had the chance to live as adults, get married and experience the happiness and long lives they should have, the dolls were given in the hopes that the young men’s souls can still rest peacefully.